It is with great joy that the community of Temple Beth Shalom shares the occasion of Bar/Bat Mitzvah on a regular basis. This rite of passage, which means "son/daughter of the commandments," signifies the formal beginning of adult life in the community and its related responsibilities. This process includes, but is not limited to: Jewish study of Scripture, proficiency in Hebrew, understanding the teachings of the Torah, and the ability to lead and participate in a Shabbat service, including reciting the prayers and readings from the Torah and Haftarah. All candidates are required to undertake a Mitzvah Project during the months prior to their Bar/Bat Mitzvah date. Although the Bar/Bat Mitzvah celebration is a family event, it is also a time when the child begins to understand how valuable and important he/she is within the Jewish community and community at large. The development of a strong ethical value system, the evolution of a child's individual and collective Jewish identity, and the understanding of his/her individual importance in Tikkun Olam (repairing the world), are all part of becoming a Bar/Bat Mitzvah. As the adult community at Temple Beth Shalom participates in Jewish study, worship and performing mitzvot, so does the Bar/Bat Mitzvah student and his/her family. In keeping with our focus on community, we especially strive to create an atmosphere of holiness and joy at our Shabbat services. The community rejoices in this rite of passage for every Jewish child, and welcomes the opportunity to celebrate with your family. Preparation for Bar/Bat Mitzvah begins with participation in our Religious School and Hebrew School. Here students learn about holidays, lifecycle events, Torah and Jewish texts, Tikkun Olam, G'milut Chasadim (acts of loving-kindness), basic Hebrew reading skills, and the opportunity to pray and understand what our prayers are about. Families are encouraged to participate in Shabbat services not only as part of Bar/Bat Mitzvah preparation, but as part of our Temple Beth Shalom family. Formal study for Bar/Bat Mitzvah begins a year prior to the candidate's scheduled date. Candidates continue to attend Religious School and Hebrew School, while working with a tutor to perfect prayer delivery and understanding and to learn his/her individual Torah and Haftarah portions. During this time the candidate works on his/her approved mitzvah project. About five months prior to the candidate's Bar/Bat Mitzvah, he/she begins meeting with an adult mentor from the congregation to explore the Torah and Haftarah portions, and ultimately, create the d'var Torah (words of Torah) to be shared with the congregation at the Bar/Bat Mitzvah. Beginning in September 2019, all Shabbat morning Bar/Bat Mitzvah ceremonies will be shared with another candidate. It is required that the family of the candidate provides at least a small Kiddush at the conclusion of services to which all in attendance are invited, although many families have provided a Kiddush luncheon as well. While there are no formal requirements regarding the private celebration with family and friends, it is the minhag (custom) of the congregation that parties be appropriate for a 13-year-old and avoid ostentation. Your guides throughout this process are Rabbi Alan Freedman, Rabbi Amy Cohen, Cantor Abby Gostein, and Kelly Finkel, Director of B'nai Mitzvah Studies. Please feel free to contact any one of them with your questions. For B'nai Mitzvah Prayers & Songs, please contact Abby Gostein or Kelly Finkel. 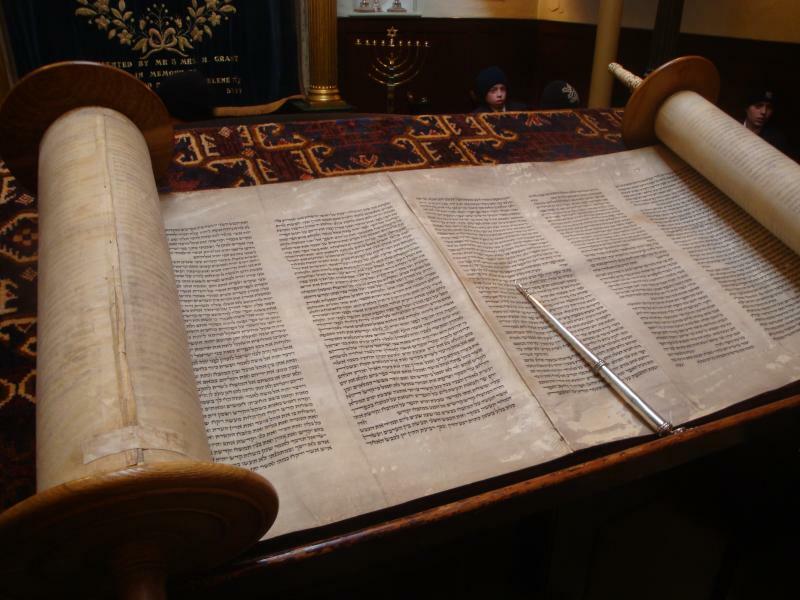 Download chanted Torah Blessings and Torah Blessing Low Register (Slow). Download honors forms for family members.